For a full copy of our company (Plus Accounting) Terms of Business, please download here. Plus Accounting, Chartered Accountants, which is a trading name of Feist Hedgethorne Limited. Feist Hedgethorne Limited is a limited company registered to carry out audit work in the UK and Ireland by the Institute of Chartered Accountants in England and Wales. The data controller is Plus Accounting, Chartered Accountants, Preston Park House, South Road, Brighton, East Sussex BN1 6SB. Private clients, sole traders and unincorporated partnerships.  Plus Accounting, as a Data Controller, is bound by the requirements of the General Data Protection Regulations (GDPR). We collect information about you when you fill in any of the forms on our website or links within an email i.e. sending an enquiry, signing up for an event, filling in a survey, giving feedback etc. Website usage information is collected using cookies. When submitting forms on our website we use a third-party software provider (SharpSpring) for automated data collection and processing purposes, they will not use your data for any purposes and will only hold the data in line with our policy on data retention. An IP or Internet Protocol Address is a unique numerical address assigned to a computer as it logs on to the internet. Plus Accounting do not have access to any personal identifiable information and we would never seek this information. Your IP address is logged when visiting our site, but our analytic software only uses this information to track how many visitors we have from particular regions. We may use LinkedIn, Facebook and Twitter advertising services and these would have tracking codes installed on our website so that we can manage the effectiveness of these campaigns. We would not store any personal data within this type of tracking. This website and its owners through their social media platform accounts may share web links to relevant web pages. By default some social media platforms shorten lengthy URLs to bit.ly web addresses.  At Plus Accounting we take your privacy seriously and will only use your personal information to provide the Services you have requested from us, detailed in your Letter of Engagement and supporting Terms of Business and as we have identified above. We will only use this information subject to your instructions, data protection law and our duty of confidentiality. We may receive personal data from you for the purposes of our money laundering checks, such as a copy of your passport, driving licence or data provided on an email. This data will only be processed for the purposes of preventing money laundering and terrorist financing, or as otherwise permitted by law or with your express consent and will be destroyed via our secure shredding on completion. Our work for you may require us to pass your information to our third-party service providers, agents and other associated organisations for the purposes of completing tasks and providing the Services to you on our behalf. However, when we use third party service providers, we disclose only the personal information that is necessary to deliver the Services and we have contracts in place that requires them to keep your information secure and not to use it for their own direct marketing purposes. We collect information on our website to process your enquiry, deal with your event and website profile registration, give advice based on survey data and improve our services. If you agree, we will also use this information to share updates with you about our services which we believe may be of interest to you via email and our website mailing service. As part of the services offered to you through this website, the information which you give to us may be transferred to countries outside the European Union (“EU”). For example, some of our third-party providers may be located outside of the EU. Where this is the case we will take steps to make sure the right security measures are taken so that your privacy rights continue to be protected as outlined in this policy. By submitting your personal data, you’re agreeing to this transfer, storing or processing. Where our third-party suppliers are in the US we have ensured that their services fall under the “Privacy Shield” whereby participating companies are deemed to have adequate protection and therefore facilitate the transfer of information from the EU to the US. An example of this would be our event registration which is carried out with Eventbrite. When you give us personal information, we take steps to make sure that it’s treated securely. Any sensitive information (such as credit or debit card details) will comply with Payment Card Industry Data Security Standards (PCI DSS) and any card transactions are required to be processed via a Secure Socket Layer (SSL) and Transport Layer Security (TLS) and we complete an annual certification to ensure this is adhered too. When you are on a secure page, a lock icon will be visible. Non-sensitive details (your email address etc.) are sent normally over the Internet, and this can never be guaranteed to be 100% secure. As a result, while we strive to protect your personal information, we cannot guarantee the security of any information you transmit to us, and you do so at your own risk. Once we receive your information, we make our best effort to ensure its security on our systems. Where we have given (or where you have chosen) a password which enables you to access certain parts of our website, such as our Iris OpenSpace portal, you are responsible for keeping this password confidential. We ask you not to share your password with anyone. We would like to send you information about our services which may be of interest to you. You may opt out at any point as set out below. You have a right at any time to stop us from contacting you for marketing purposes. To opt out please email: victoriak@plusaccounting.co.uk and your removal will be actioned within 24 hours. This is your right to request a copy of the information that we hold about you. If you would like a copy of some or all your personal information, please email or write to us at the following address: Plus Accounting, Chartered Accountants, Preston Park House, South Road, Brighton, East Sussex BN1 6SB. We will respond to your request within one month of receipt of the request. We want to make sure your personal information is accurate and up to date. You may ask us to correct or remove information you think is inaccurate by emailing your account manager or writing to the above address. We will apply password protection to all documents that we send to you by email unless you specifically request otherwise. Alternatively, we will use our client portal to send documents to you, if you would prefer. This Website is designed and hosted on behalf of Plus Accounting by PracticeWEB a trading division of Sift Media Limited (company registration number 05923499) a subsidiary of Sift Limited (company registration number 03230061) who provide some of the information which is on this Website. This Website may have links to another website hosted by Sift Limited ("Sift Website") which enables you to access third party services. If a user’s personally identifiable information changes (such as your postcode) the User can update or remove that user’s personal data provided to us by sending an email to info@plusaccounting.co.uk. If you have any questions about the security at our website, you can send an email to info@plusaccounting.co.uk.